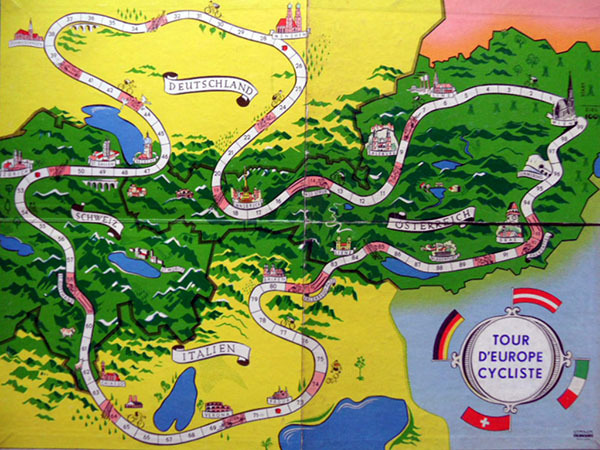 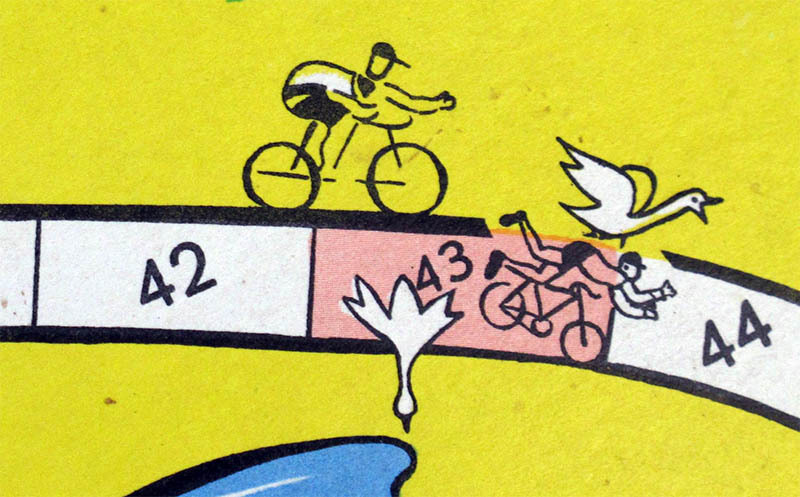 Nice simple roll-and-move game from Austria, of which there were different editions, even one in French called "Tour d'Europe Cycliste" (see below). 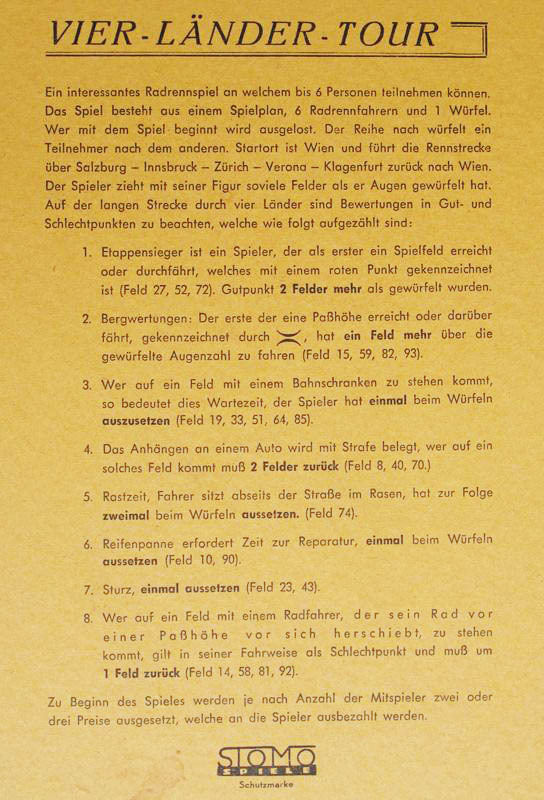 The game was also included in the in the compilation box "Sammlung schöner Spiele". 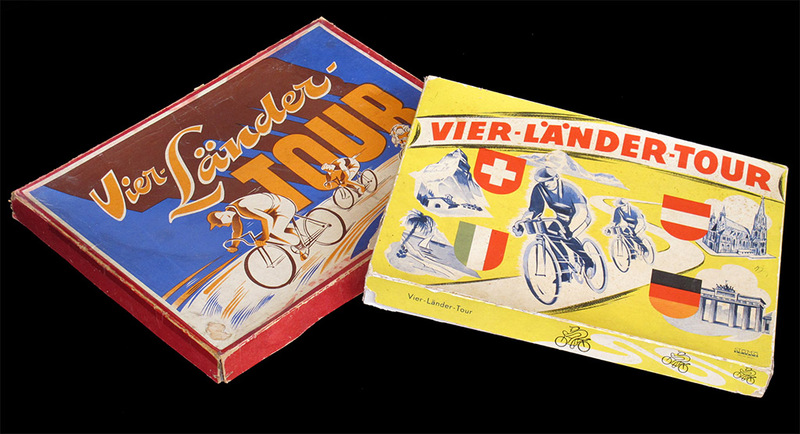 The boxes may look different but the boards -and riders- within are identical. 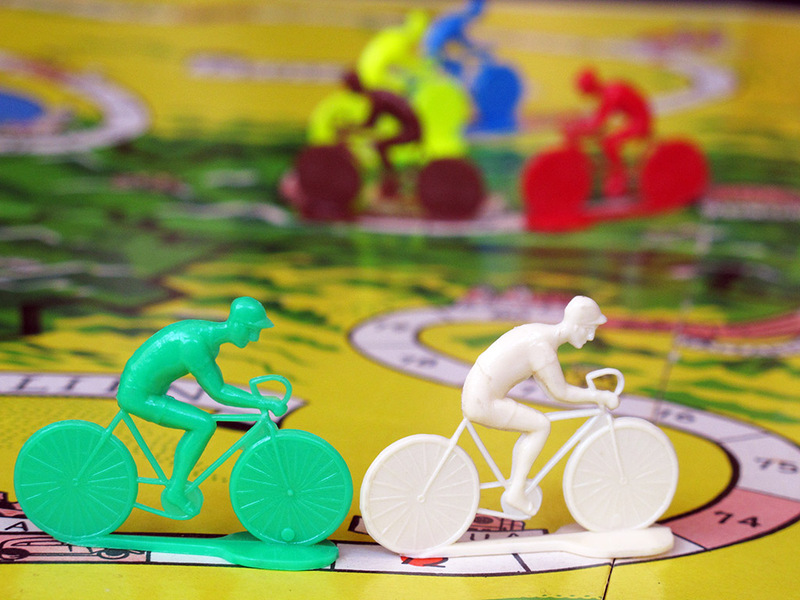 The riders are quite big for the board, but the game remains playable. 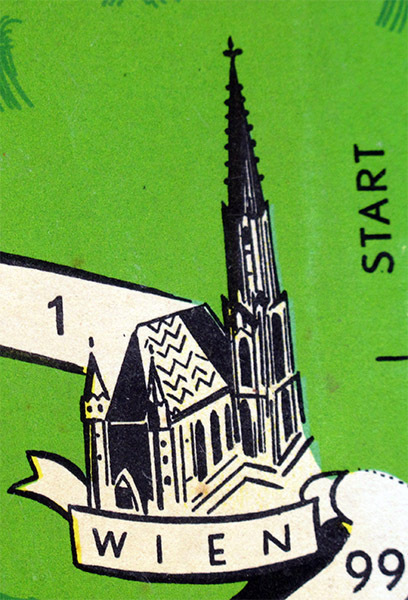 The race starts in Wien. 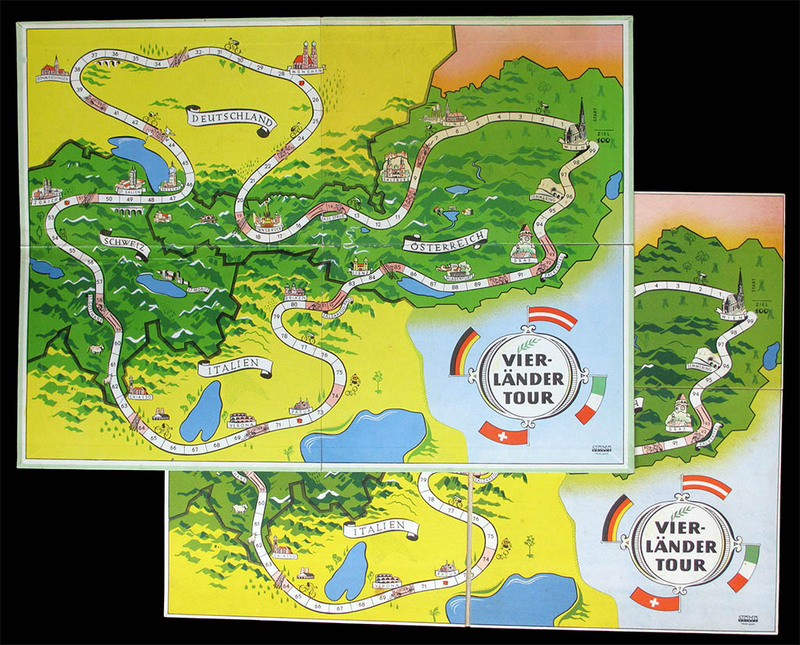 Here is the French edition of this game, probably distributed in Switzerland. 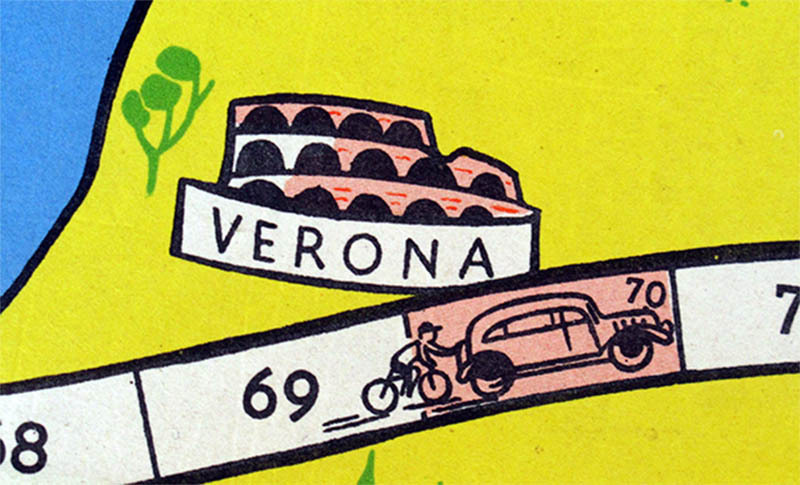 In this case there should be an italian edition too. 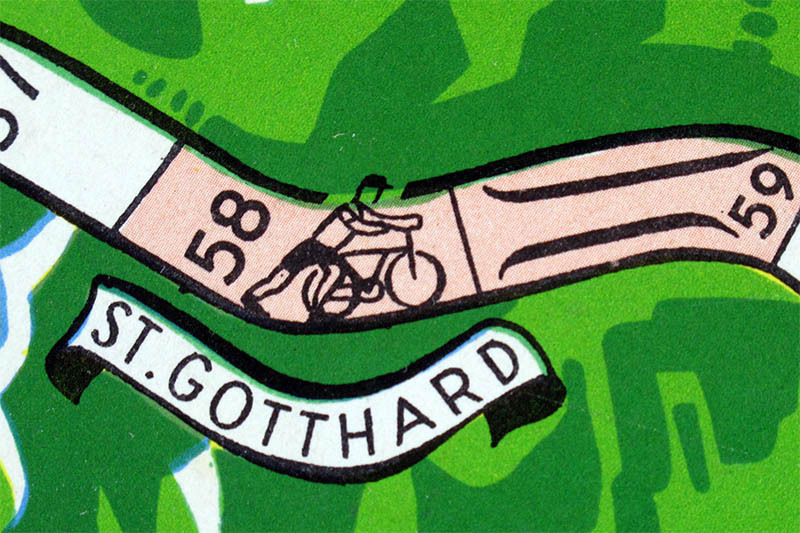 Thanks to Didier Maria for sending this picture.